CT systems and parts from GE Healthcare, Siemens, Philips, Toshiba, and more. 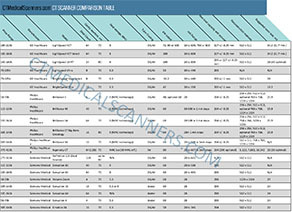 CTMedicalScanners.com is a subsidiary of Providian Medical Equipment LLC. We provide used and reconditioned CT Scanner systems to physicians and clinics in the healthcare industry. Providian Medical has been in the diagnostic imaging business since 2004 and is located in Willowick, Ohio. Contact us below if you are in the market for any new or used CT scanning equipment. We offer up to 60% discounts on retail costs.